Fewer patient care providers have received a flu shot this year compared to last year in the Vancouver Coastal Health Authority, despite a government rule requiring vaccination or mask by Dec. 1. 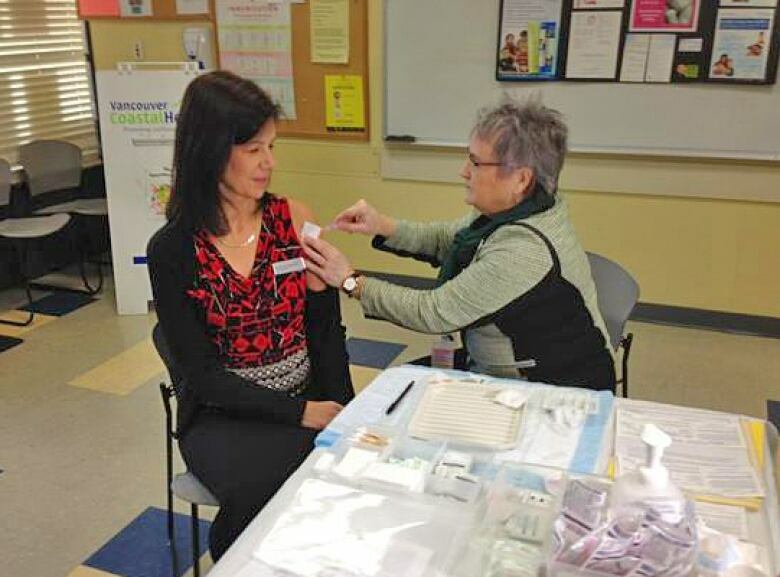 Fewer patient care providers have received a flu shot this year compared to last in the Vancouver Coastal Health Authority, despite a province-wide rule requiring vaccination or a mask by today. Only 62 per cent of health care workers have received this season's flu vaccine to date, according to the health authority. Last flu season, vaccination rates among the same group of workers reached 82 percent, with the rest required to wear a mask. Health officials don't know why rates are low so far this year, but are concerned about mixed messages from the B.C. Nurses' Union, which is questioning how well the vaccine works. 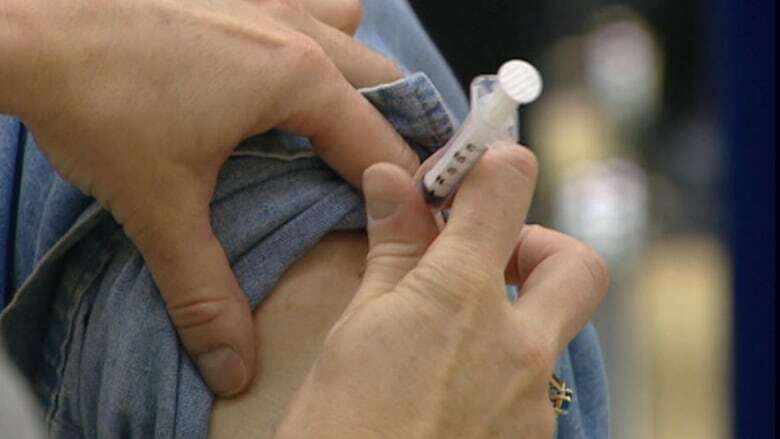 "That is unfortunate, quite unfortunate, when health care workers question the effectiveness of the vaccine," says Dr. Meena Dawar, a Medical Health Officer for Vancouver Coastal Health. "Vaccines are truly amazing, they've saved numerous lives. I think we've probably failed in our education of health care providers if health care providers are still questioning the benefit provided by vaccines." The B.C. Nurses Union is encouraging its members to receive the flu shot, but opposes the policy to make the vaccine or mask mandatory. "It's about choice. Nurses are professionals, they make choices every day in providing safe patient care to citizens of B.C. and they're entitled to make choices," says union president Gayle Duteil, who received a flu shot on Monday. Vaccination uptake is lower among nurses specifically this year than last year, according to Duteil, who says some nurses are concerned with the effectiveness of the shot. "We've heard that some of this vaccine that's currently going around is ineffective with some of the flu virus that's currently going around in different areas, so that's a personal choice," says Duteil. Dr. Dawar says the World Health Organization decides each spring which strains of influenza to protect for in the vaccine, so it may not be perfectly matched to the virus that ends up circulating the following winter. However, even in the case of a mismatch, the flu vaccine provides good protection, says Dr. Dawar, who notes workers who choose not to be vaccinated still have the option to wear a mask. Despite the lower vaccination rate revealed on Dec. 1, Health Minister Terry Lake says he expects compliance rates to rise among health care workers throughout the season, noting there is a delay in reporting. "We have an obligation to very vulnerable people to protect them. And getting vaccinated against the flu is one of the simplest things we can do to protect that vulnerable population," says Lake, who is hopeful vaccination rates will eventually exceed those of last year. "We lose about 500 people every year, that die from the flu. This is not something to shrug about," says Lake. The policy was first introduced in B.C. in 2012, made voluntary that year after a grievance by several unions. It became mandatory in 2013 following an arbitrator's ruling finding the rules are valid, given the seriousness of influenza.